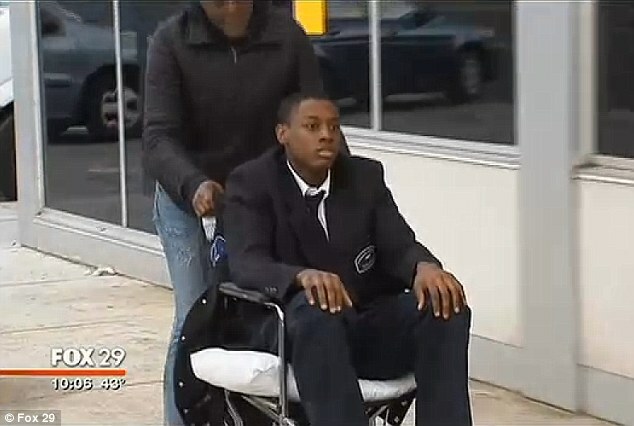 On January 7th, Darrin Manning, a 16-year old honor student at Philadelphia’s Mathematics, Civics & Sciences Charter School, was the victim of what is undeniably the most horrifying “stop and frisks” on record. After being stopped by the police for no valid reason, Manning was “frisked” so hard that they ruptured one of his testicles, rendering him sterile. This terrible injustice began on the afternoon of January 7th, when Darrin Manning and a few of his friends from his school’s basketball team were walking home after practice—it was brutally cold (the polar vortex was hovering over the city and the “high” temperature of the day was a blistering 14 degrees) and they were bundled up in scarves and gloves provided by their school. During the ten minute walk from the school to the subway, police saw Manning and his friends—a group of young black males wearing scarves—and decided that they were suspicious and in need of a stopping and frisking. When the police told the kids to stop, they took off running, but Manning decided to stop after only a very short distance. The police claim that Manning walked back to them and started swinging, beating one officer and ripping off his radio set before being subdued. According to these officers, they had no idea that Manning was hurt until he was rushed to the Hospital for emergency surgery. Because of the account of these police, Manning is currently being charged with counts of resisting arrest, assaulting a police officer, and reckless endangerment. Put simply, the story of these police officers is nonsense coming from a disreputable source. The officer who says that he was attacked by Manning had no bruises or damage to his clothing, but he does have two accusations of false arrest in his Internal Affairs file. To further refute his claims, witnesses to the incident have corroborated Manning’s story. Finally, the idea that any man could have his testicles crushed without signaling any distress is flat-out absurd. Darrin Manning is a straight A-student who has no history of violence or discipline problems, making the accusations against him extremely suspect. Given the Manning’s history, along with the credibility of the officer involved and the witnesses, this is likely a case of police inflating charges to justify the excessive force that they used in handing the kid (not an uncommon occurrence). Hopefully, Manning will be cleared of all charges and will file a 7+figure civil suit against the Philadelphia PD that brutalized him. In addition to ensuring that Manning is taken care of, I would hope that the police fire the officers involved in this brutality—both the arresting officers and the female officer who searched the boy—and that the city pursues all possible legal action against them. Unfortunately, I have serious doubts that any of these things will happen. Whenever proponents of stop and frisk programs argue in support of the program, they use some permutation of the argument that the stop and frisk is a minor inconvenience that innocent people don’t need to worry about—after all, it takes a few seconds for them to empty their pockets, then they can be on their way if they aren’t carrying anything illegal. Put simply, these people have no understanding of the 4th Amendment and are likely people who are wealthy or white enough not to worry about being stopped and frisked. 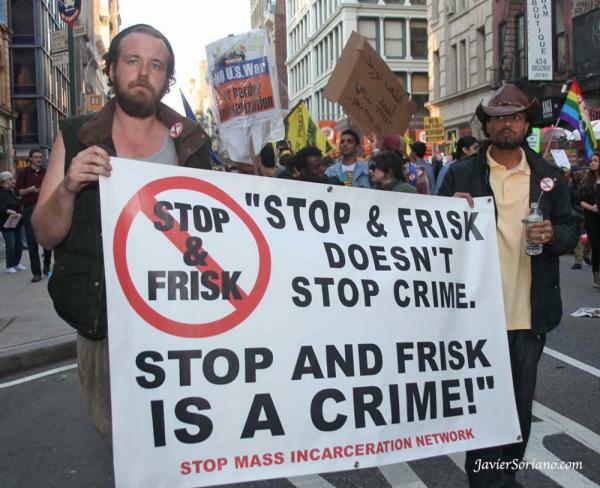 To these people, the false sense of security that comes from stop and frisk programs simply outweighs the constitutional violations of the program and the humiliation of those who are stopped. While it is important to note that nothing illegal was found on Manning during the search, this fact is actually of secondary importance to the story’s greater context: In this case, police accosted a minor who, by the police’s own admission, was not suspected of any crime, and inflicted irreparable and excruciating damage to him. It wouldn’t matter if the police had found a grenade launcher in Manning’s backpack during the search—the fact remains that the police stopped and maimed a kid based upon nothing more than a whim. Unfortunately, as this case illustrates, stop and frisk can have terrible consequences on even the innocent. 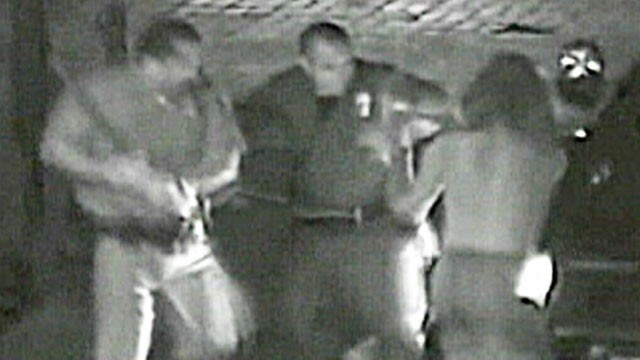 Darrin Manning was innocent of carrying any illegal goods and was stopped for the simple reason that he was walking while black; to add a little irony into the situation, he was also the only one of his friends to voluntarily go to the police and submit to the search (as a “good law-abiding citizen” would do). Despite the fact that he was innocent, Manning was detained under false charges and had his testicles crushed—to put his pain into perspective, being kicked in the testicles registers a 9000 del, which is the pain equivalent to breaking bones in 3200 places at the same time. To compound the injury to Manning, doctors have said that Manning will likely never be able to have children due to his injuries. The next time that somebody asks why some poor black man runs from the police if he isn’t guilty of a crime, you need only point to this case. Being innocent of a crime means little if the police crush your testicles while searching you… or shoot you while “arresting” you… or beat you into a coma… or do any other terrible thing that some police have done in the past. This terrible tragedy is simply the latest reason why we must end stop and frisk while implementing police reform that prevent future brutality. Stop and frisk is a stain on our Constitution that violates the 4th Amendment protections against unreasonable search and seizure while police brutality is an evisceration of the 8th Amendment protection against cruel and unusual punishment. Put simply, the next person to be a victim of these egregious violations of our rights could be somebody who you care about—demand that your local and state politicians work to protect your rights. As a final note, here is a link to the ACLU’s guide on what to do if you are stopped by police. The police ruptured the kid’s testicle and caused it to require amputation–this is, technically, a “castration” via an Orchiectomy. There are several types of “castration,” ranging from a chemical castration (depo-provera shots) to a full castration, so my use of the term is entirely accurate. Beyond that, are you really going to split hairs on this? The police crushed a kid’s testicle while searching him with no reasonable suspicion. It is indeed a castration. I can’t believe a female officer did this. These actions do not represent all police officers, just the bad ones. Unfortunately, the good ones probably have desk jobs or have been silenced (or they quit or retired). The requirements for officers have to change. They should be college educated and paid a higher salary. We have to phase out the bully cop and phase in a new type of professional police office. This is my humble opinion. I liked this only to acknowledge reading it and understanding its content and context. This is yet another example of how far we have fallen. What is the female police officer’s name? It hasn’t been released out of privacy/safety concerns.